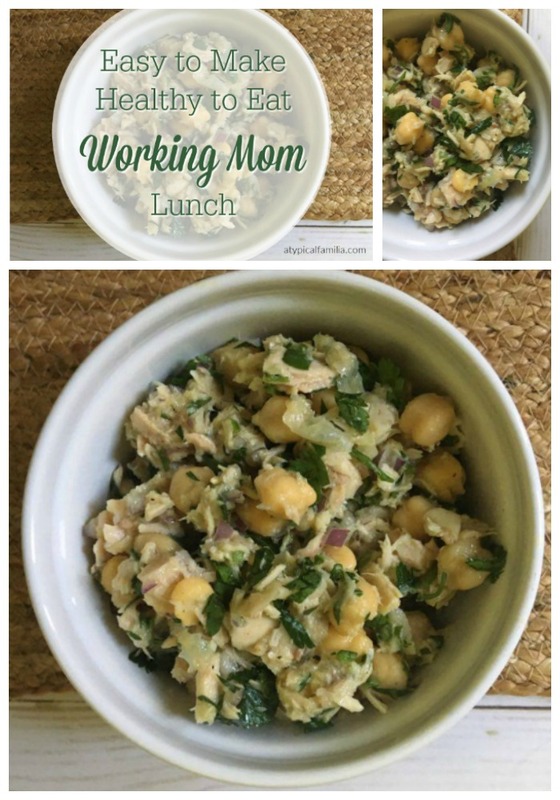 Easy to Make, Healthy to Eat this Chick Pea Tuna Salad is a great working mom lunch idea for any day of the week. I’ve been making more of an effort to bring my lunch to work. Working in midtown Manhattan, buying lunch everyday gets expensive. The healthier the option, the more I’ll spend. 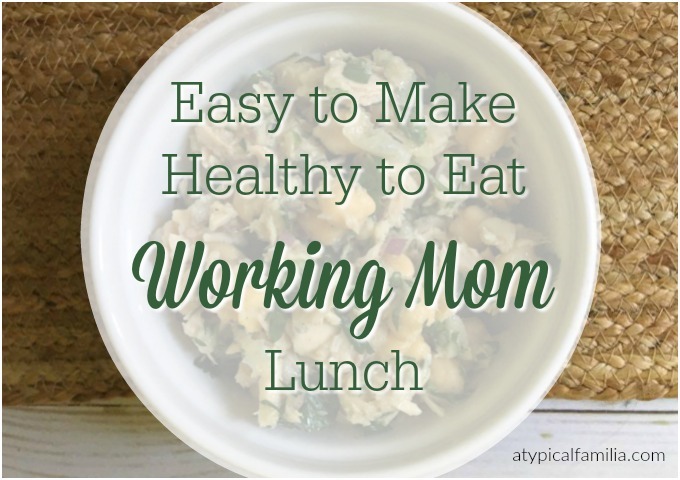 So I take a little time on Sunday to throw together a working mom lunch for Monday. Sometimes I even pack Joseph a working dad lunch. Prepping for Monday motivates me to prep lunch and snacks for the week. Because it’s frustrating to spending $15 on lunch and not like it. What I love about this chick pea tuna salad is that there are so many options. And chances are you already have the all the ingredients in your pantry. Squeeze in juice from 1/2 a lemon but if you're like me, you'll use the juice from the whole lemon and even grate in some lemon zest. Add in Olive Oil - as little or as much as you like. Add salt & pepper to taste because hey, it's your lunch. Make it how ya like it! This Chick Pea Tuna salad is great in a butter lettuce wrap, pita bread, flat bread or on a Triscuit. 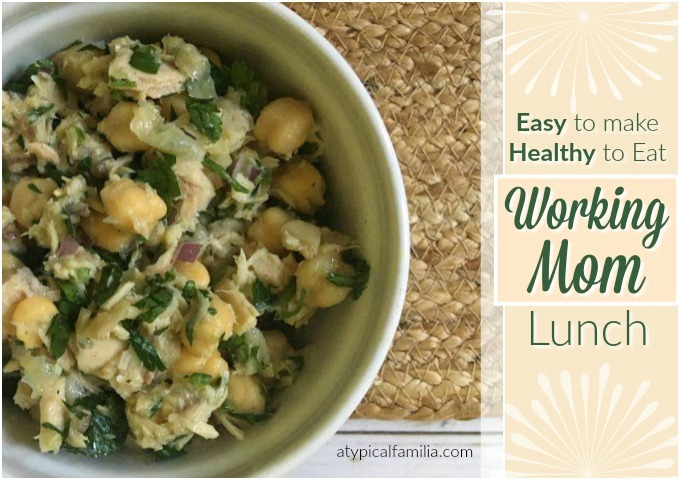 This Chick Pea Tuna salad is filling, delicious and so good for you. And it literally takes minutes to make. The recipe is easy enough that I can even make this in the morning before work for midweek lunch. You can basically customize this recipe to your personal preference. It’s also a great “Meatless Monday” option.